Secrets Of The Broken Rules! 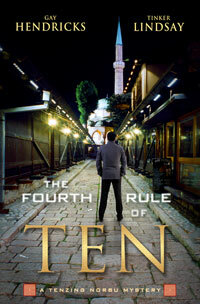 The Fifth Rule Of Ten Is Here! Private investigator and ex-Buddhist monk Tenzing Norbu is wrestling with commitments on all fronts. He and his fiancée, Julie, can’t seem to commit to an actual wedding date. Ten’s dropped the ball on a pledge to find his assistant Kim’s missing brother, Bobby. Even his dreams hint at broken vows. And now his best friends, Lama Yeshe and Lama Lobsang, are about to land in Los Angeles with a Tibetan entourage for an unexpected 10-day fund-raising tour, sponsored by the local Buddhist Temple Ten abandoned 12 years earlier. Obligations are piling on, and for the first time in his life Tenzing Norbu is finding it hard to breathe. 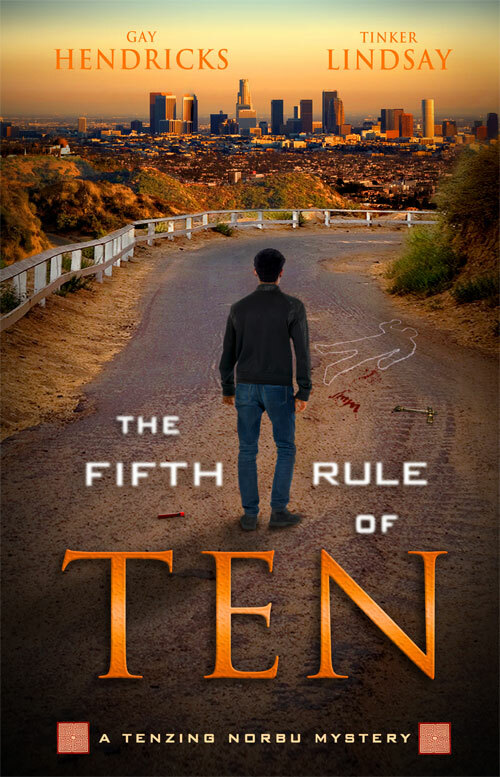 Then an anonymous cell phone voice taunts Ten as he waits for his best friends at LAX, a mysterious missive lands in Tenzing’s mailbox, and the bloody evidence of foul play on a Griffith Park trail points directly to him. Tenzing knows that something dark is afoot, and the ensuing series of ominous events and disconcerting clues pull Ten into a dark mirror-world of Tibetan Buddhist tradition. He joins forces with Yeshe, Lobsang, his ex-partner, Bill, and his hack-tivist buddy, Mike, to track down the Patient Zero of this epidemic of criminal chaos. In The Fifth Rule of Ten, our hero is forced into a life-and-death battle with a powerful shadow presence whose roots reach way back in time. Tenzing must commit to fully embracing his own past, or lose everything he now holds dear. Get The Fifth Rule of Ten Today! Listen here to Gay talk about the process of writing the Ten books, his love of reading mysteries, his many years of meditation, his travels by bicycle across Tibet, and his collaboration process with Tinker Lindsay, among other things, in this wonderful interview with Jenny Wheeler of The Joys of Binge Reading Podcast. Let go of expectations – they always lead to suffering. That’s the Fourth Rule of Ten. Get The Fourth Rule of Ten Today! Keep current with the truth: we’re only as weak as our secrets- especially the ones we keep from ourselves. That’s the Third Rule of Ten. 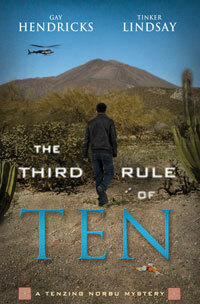 Get The Third Rule of Ten Today! Beware your old, limited models of thinking: no matter how safe they make you feel, eventually you will become their prisoner.’ That’s the second rule of Ten. 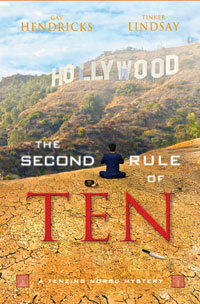 Get The Second Rule of Ten Today! 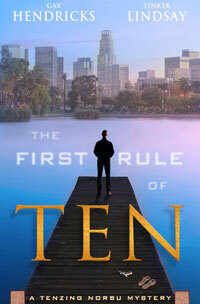 Get The First Rule of Ten Today!